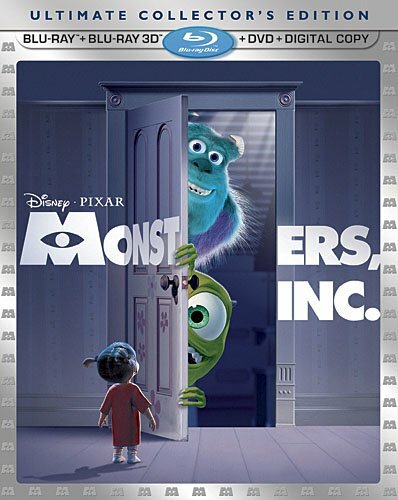 Other Studios : P : Pixar Animation Studios : Features : Monsters, Inc.
BCDB Rating: 4.6/5 Stars from 20 users. This page has been viewed 58 times this month, and 11765 times total. Cartoon Characters: Mike Wazowski, James P. 'Sulley' Sullivan, Henry J. Waternoose, Celia, Boo, Randall Boggs, George Sanderson, Flint, Roz, Yeti, Fungus, Bile, Needleman, Smitty. Directed By Peter Docter, David Silverman, Lee Unkrich. Produced By Darla K. Anderson, John Lasseter, Andrew Stanton, Kori Rae. Written By Dan Gerson, Andrew Stanton, Pete Docter, Jill Culton, Jeff Pidgeon, Ralph Eggleston. Editor: Ken Schretzmann, Jim Stewart. A little girl enters the world behind her closet door; a world inhabited by monsters. "Hidden City"" (Working Title) and "Monsters, Incorporated"" (Working Title). Production budget estimated at $115 million. You can watch this cartoon today on your computer. 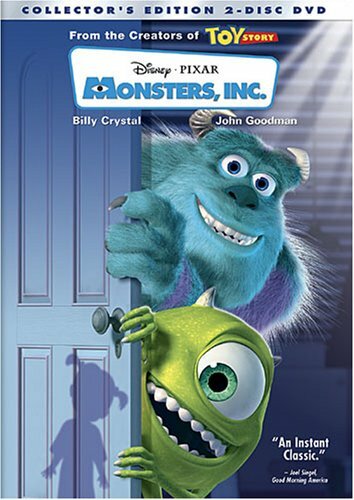 Just click below to start viewing "Monsters, Inc." online now. Do you have anything to add to this page? Have we made any mistakes... or do you have any additional information about Monsters, Inc.? If so, we would love to hear from you. Please send us a quick note with your additions or corrections to this page, and we will make the corrections as soon as possible! Below are comments about this cartoon submitted by people who have seen this show. Take a look and see what others have said about Monsters, Inc.. We want to know what you think, too!! Feel free to share your own opinion- we do want to hear from you! You can add your own comments here. Monsters, Inc. by Big Cartoon DataBase is licensed under a Creative Commons Attribution-NonCommercial-ShareAlike 4.0 International License.